Home/Dinosaur and Prehistoric Animal News Stories, Dinosaur Fans, Palaeontological articles/How Did Huge Sauropods Manage to Get Along Together? How Did Huge Sauropods Manage to Get Along Together? A team of British scientists have been tackling one of the biggest puzzles in palaeontology and a sophisticated analysis of dinosaur skull bones might just have helped them solve a mystery of gigantic proportions. Sauropods, that group of long-necked dinosaurs that include such famous creatures as Diplodocus, Brachiosaurus and Apatosaurus (formerly known as Brontosaurus), ate vast quantities of plant material. These huge animals with many individuals exceeding twenty metres in length and weighing many times more than a bull African elephant, would have been capable of stripping an area of vegetation, but the fossil record shows that in many parts of the world, lots of different species of Sauropod seem to have co-existed. The scientists, a joint research team from Bristol University and the Natural History Museum (London), propose that Late Jurassic Sauropod skulls became specially adapted to help them feed on different types of plant material. In this way, the skull morphology helped the long-necked dinosaurs divide up the available food resources between them, therefore limiting the amount of direct competition. Previous studies had shown that in areas where lots of different species of Sauropods co-existed their body shapes and ability to angle their necks may have allowed the development of different feeding strategies with each species preferring to feed on a particular part of the flora that was available. Long necks for different feeding envelopes. In the picture above, models made by Safari Ltd help to illustrate current thinking about the feeding adaptations of members of the Sauropoda. Diplodocids such as Diplodocus and Apatosaurus with their very long necks and relatively horizontal feeding platforms probably specialised in feeding on ferns, cycads and plants that made up the vegetative understorey. Whilst in the middle, dinosaurs such as camarasaurids a member of a different family of Sauropods called the Macronaria could feed on a wider range of plant material, cycads and seed ferns as well as being able to strip leaves off small trees. The dinosaur in the bottom of the picture is a member of the Brachiosauridae (Brachiosaurus). These dinosaurs had much longer forelimbs than hindlimbs and as a result, their heads were held much higher. These dinosaurs probably specialised in feeding from the very tops of the tallest trees, parts of the vegetative canopy not available to other plant-eating dinosaurs (unless they knocked the trees down). The tree in the picture is an Agathis conifer, a model also made by Safari Ltd.
Camarasaurus was probably the most common Sauropod living in the western United States during the Late Jurassic. Building on previous studies, the British team looked specifically at the Sauropod fauna associated with the Upper Jurassic Morrison Formation of the western United States. At least ten different species of Sauropod are known from this formation, one of the most intensely studied fossiliferous formations in the Americas. Although the Morrison Formation deposits represent a number of habitats, some of the most famous fossil beds such as those making up the Salt Wash Member indicate that some parts of the Morrison Formation represent deposits laid down in harsh, semi-arid environments, not the sort of place where one might expect vast numbers of different types of Sauropod. Despite the harsh conditions, the fossil record shows that lots of different Sauropods co-existed. When the diverse faunas of modern day Africa are considered, these habitats only support one truly huge, extant species – the elephant. So how did the Sauropods get along with each other? Bristol University’s PhD student David Button worked in collaboration with the Natural History Museum to examine how the skulls of different long-necked dinosaurs may have been adapted to help them feed on different types of plant. Digital reconstructions were made of the skulls of Camarasaurus and Diplodocus using data compiled from Computerised tomography (CT scans). From this data, a biomechanical model of the Camarasaurus skull was created and then this skull was compared to an existing digital model of the Diplodocus. Finite Element Analysis (FEA), was used to assess the stresses that each skull could take. 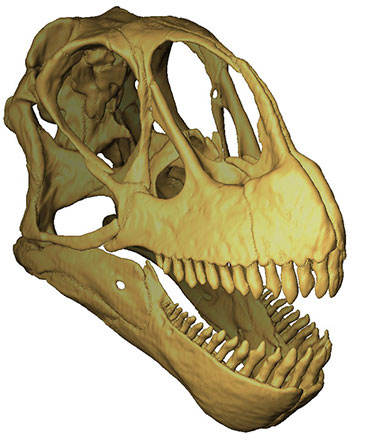 FEA analysis is used in engineering to calculate loads and stress bearings in complex shapes, this research showed that the box-like skull of Camarasaurus gave this dinosaur a stronger bite. Camarasaurus could have coped with tougher vegetation than Diplodocus. The weaker bite and more delicate skull of Diplodocus would have restricted this animal to softer plant material such as ferns. Diplodocus could have compensated for this to some extent by using its strong neck muscles to help detach plant material through movements of the head. The research team used a number of biomechanical measurements from other Morrison Formation Sauropods to calculate the different types of feeding adaptations, providing evidence for different diets and overall a conclusion that dietary niche partitioning did occur in the Sauropoda. Analysis of fossil bone helped the researchers determine the size and location of jaw muscles. In the picture above, the box-like skull of Camarasaurus is shown left (a) with a typical skull of a Diplodocus (b). This new research may help palaeontologists to understand more about how the Sauropoda evolved. Sauropods from the Dashanpu Quarry region of China dating from the Middle Jurassic may also show similar adaptations over skull morphology and bite strength as reflected in the research done on the slightly later Sauropods from the Morrison Formation. 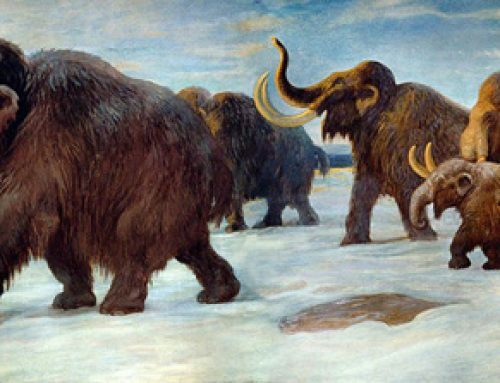 In addition, this analysis may help scientists to unravel the mechanisms responsible for supporting the high diversities of mega-herbivores found in other Mesozoic and Cenozoic animal populations, particularly those in resource limited environments. Diplodocus Feeding – a biter or a comber?